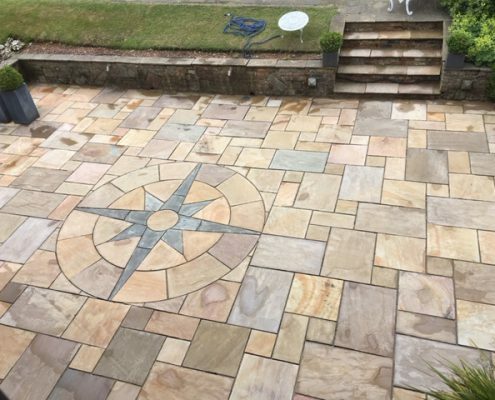 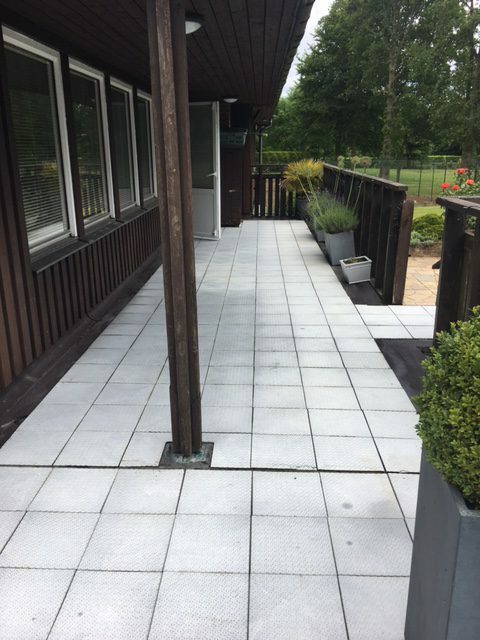 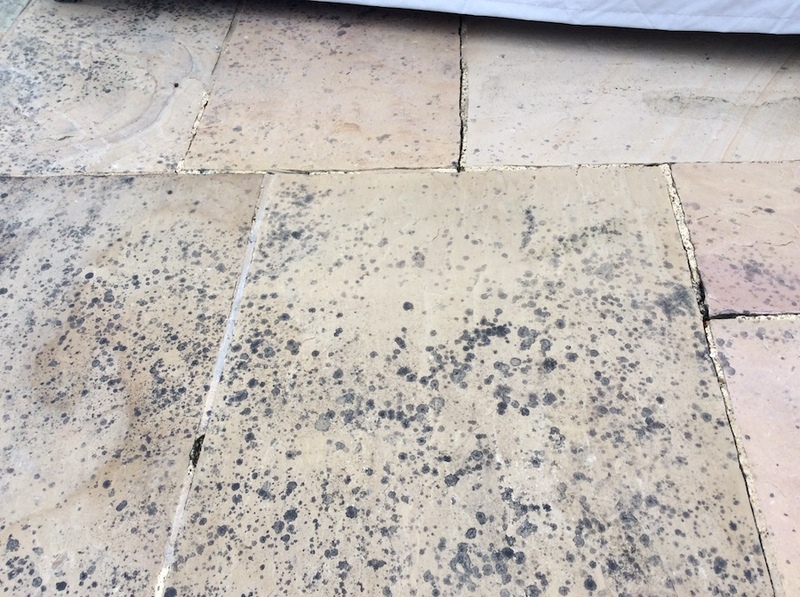 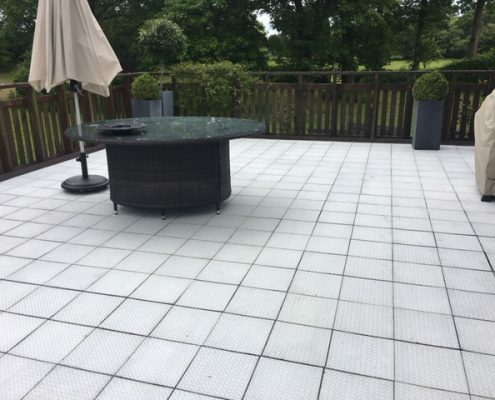 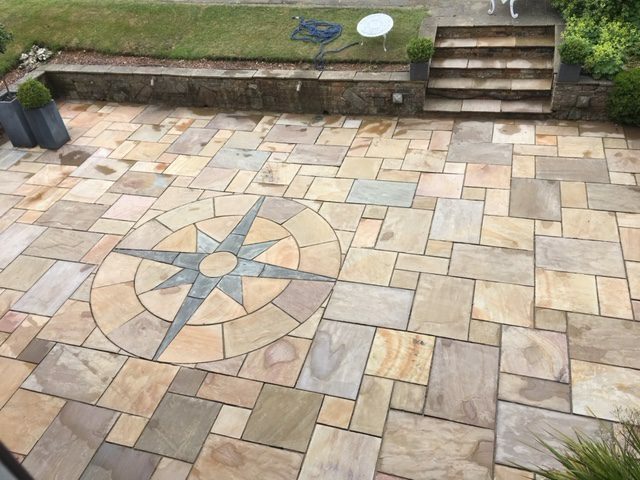 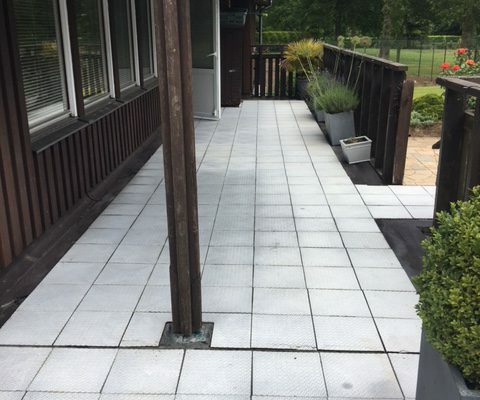 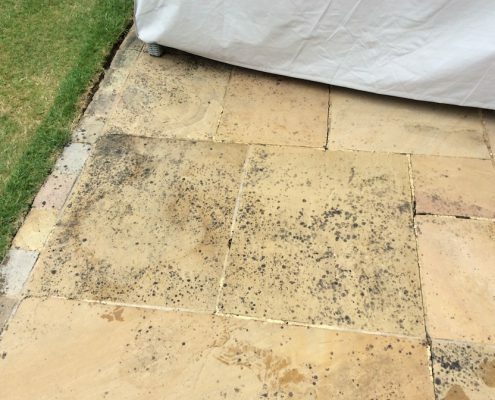 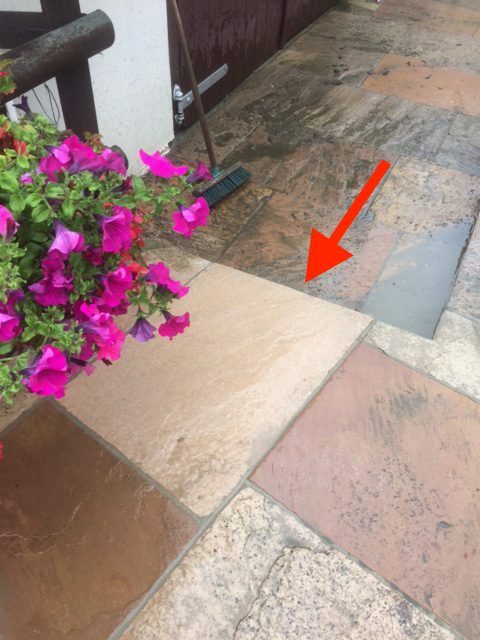 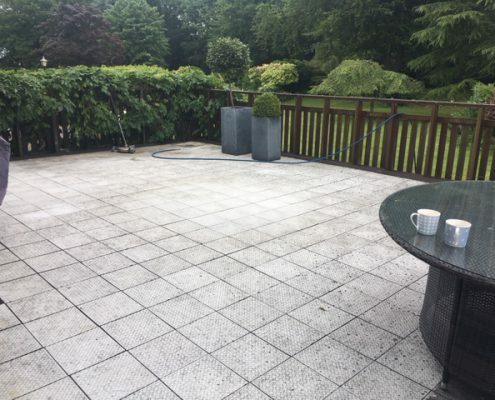 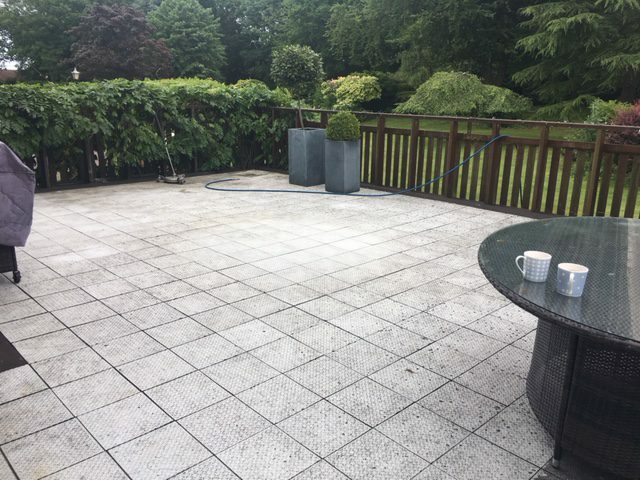 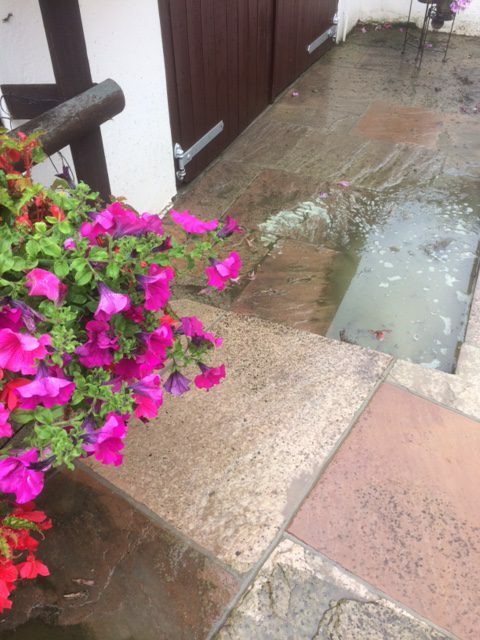 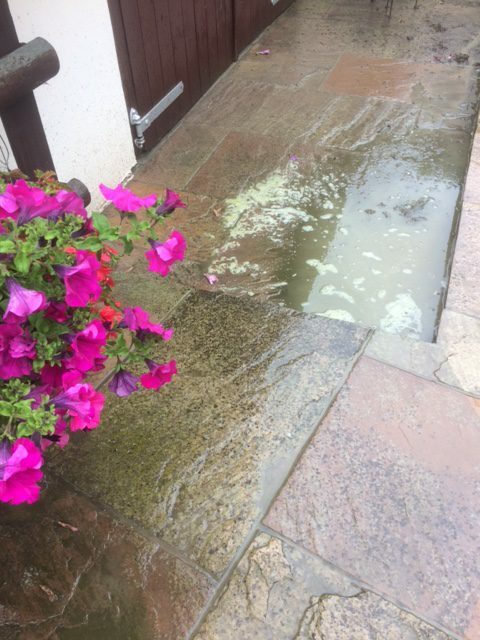 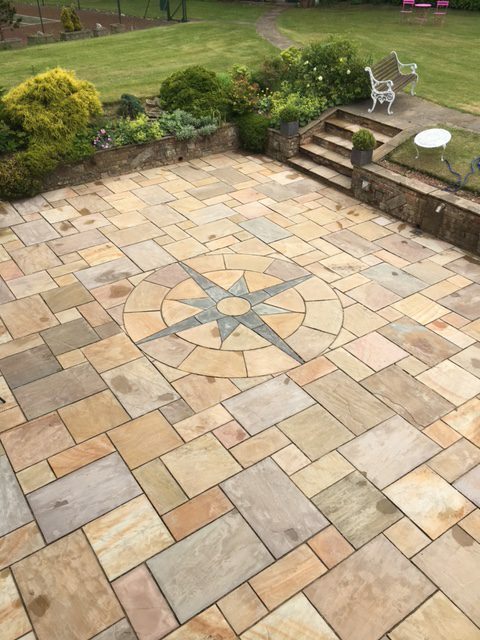 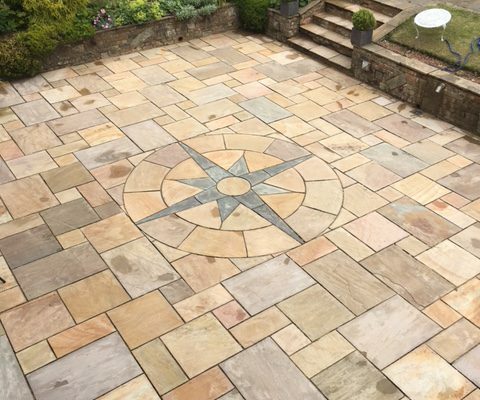 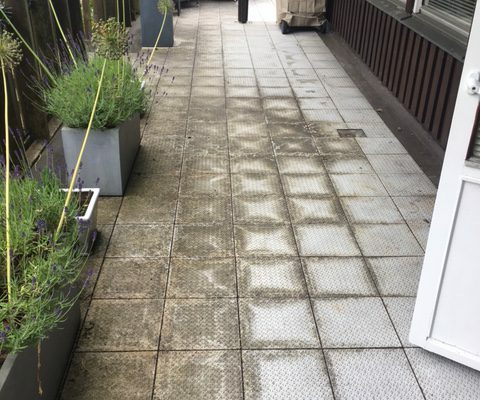 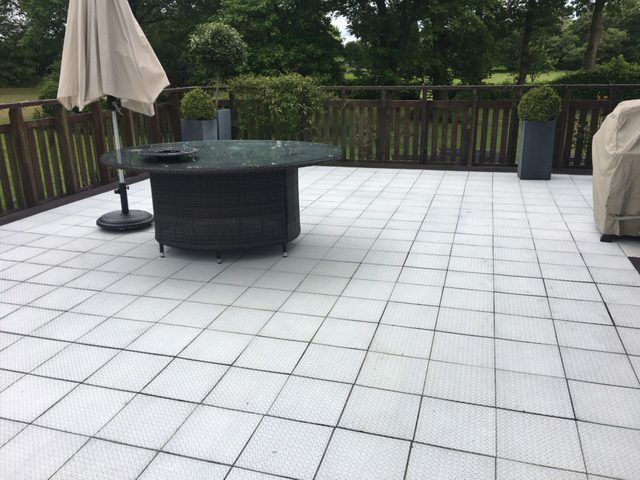 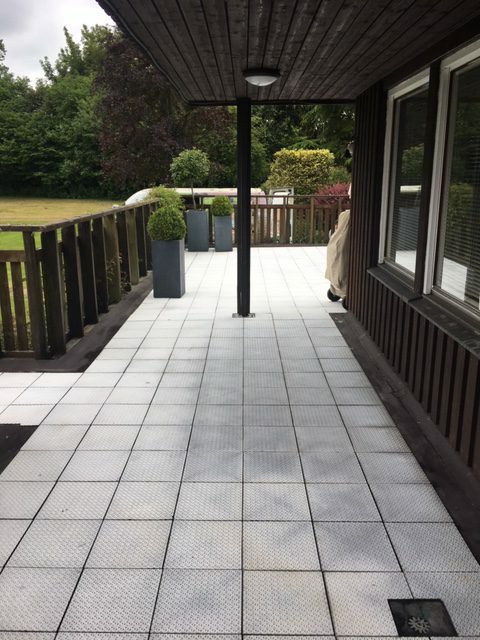 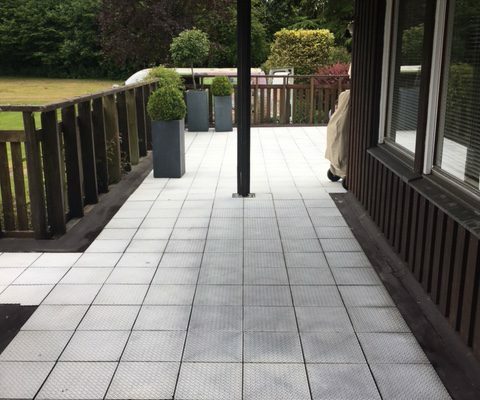 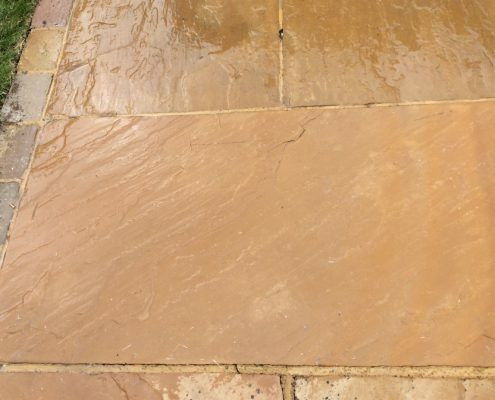 Do you have unsightly black spots on your patio or driveway which you or your contactors simply cannot remove? 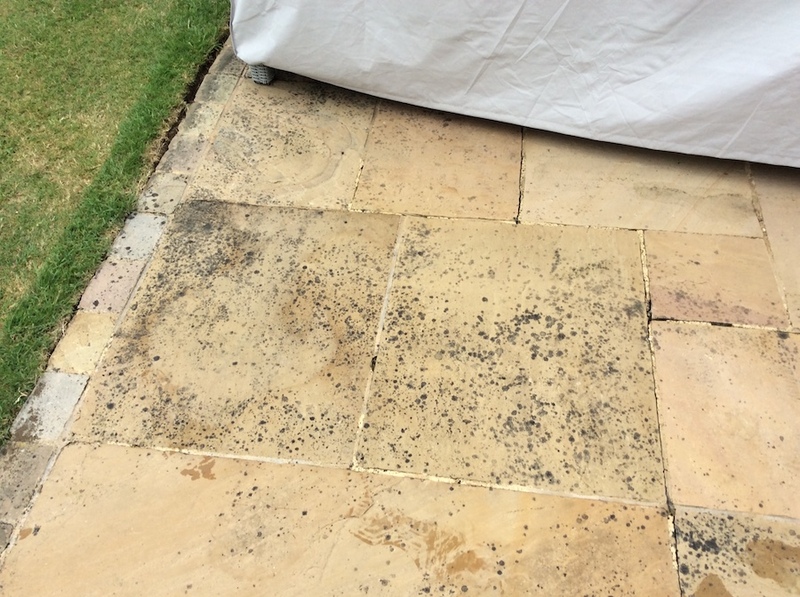 They are almost certainly lichen spores. 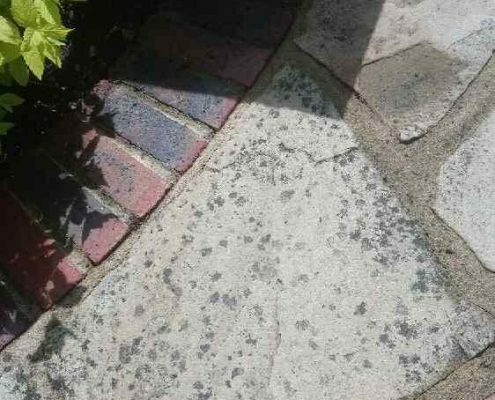 Lichen is a composite organism that arises from algae living among fungi. 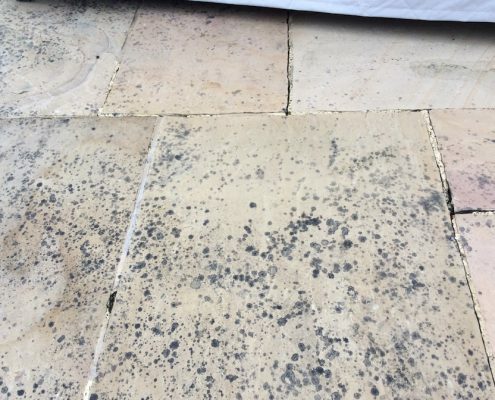 When the spores float onto a patio or driveway they turn white, then green and finally black. 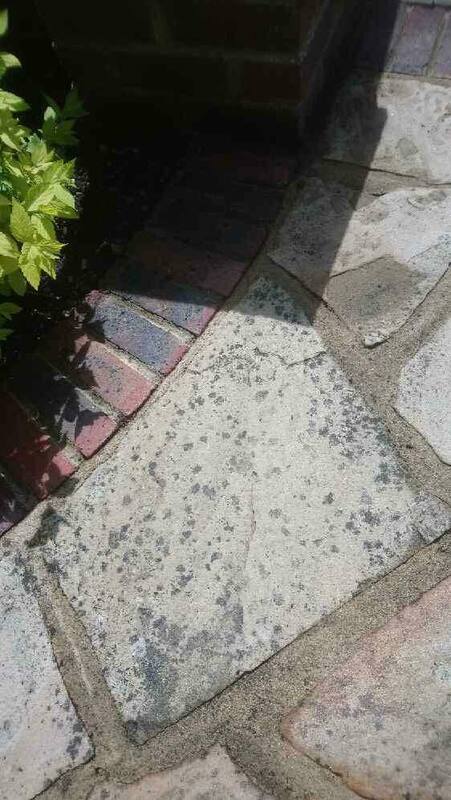 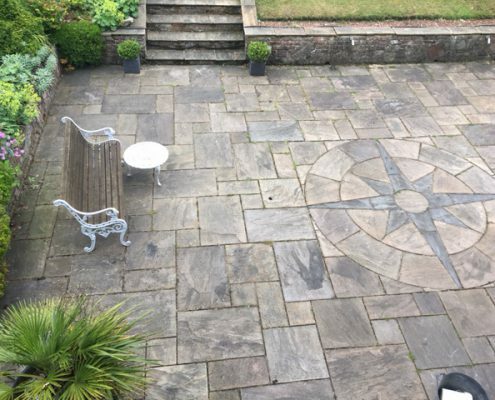 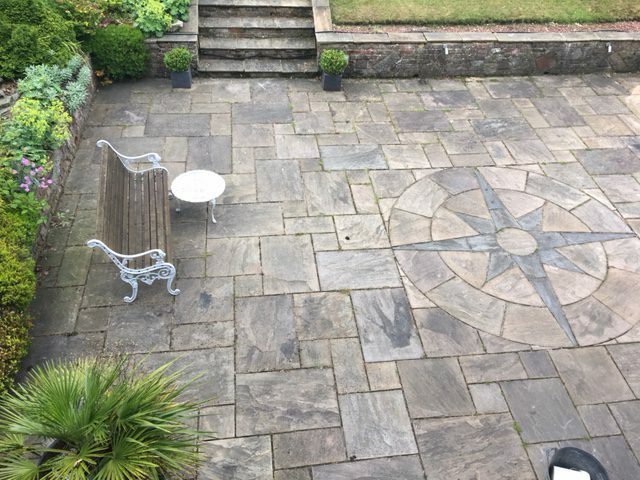 Simply jet or pressure washing will not remove the black lichen marks. 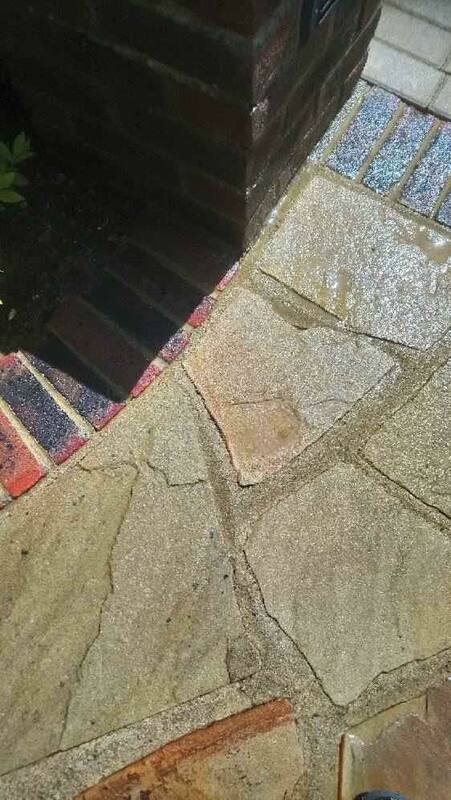 We have a new and innovative method of removing these marks with a 99% success rate. 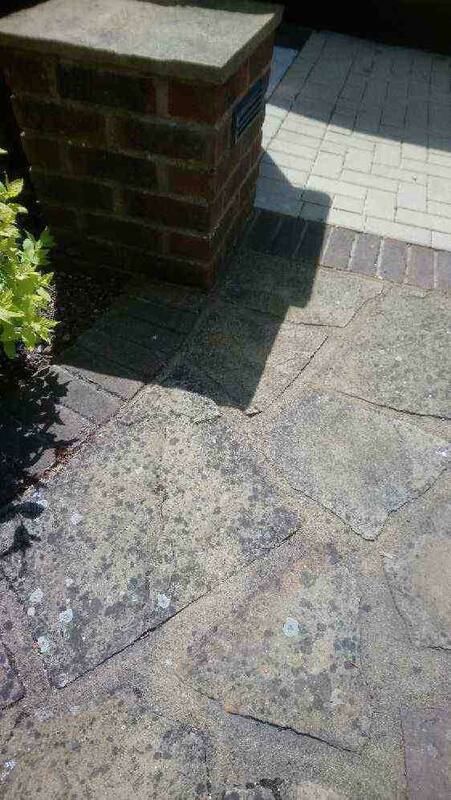 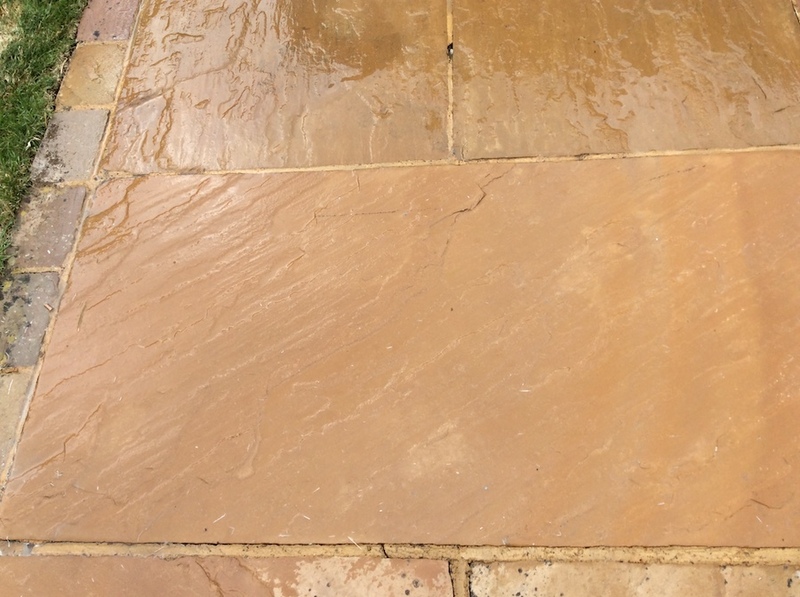 We pressure wash the area to be cleaned, we then spray on the product, and finally jet wash it all off. 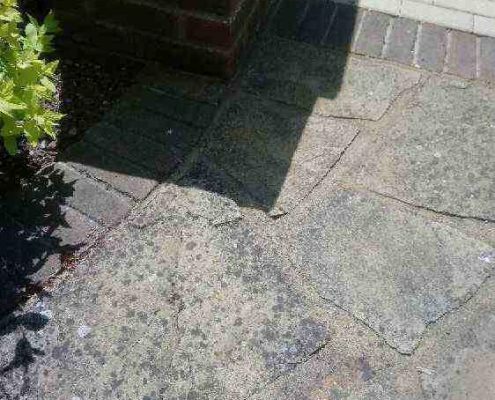 The product that we use will also inhibit weed growth for two to three years. 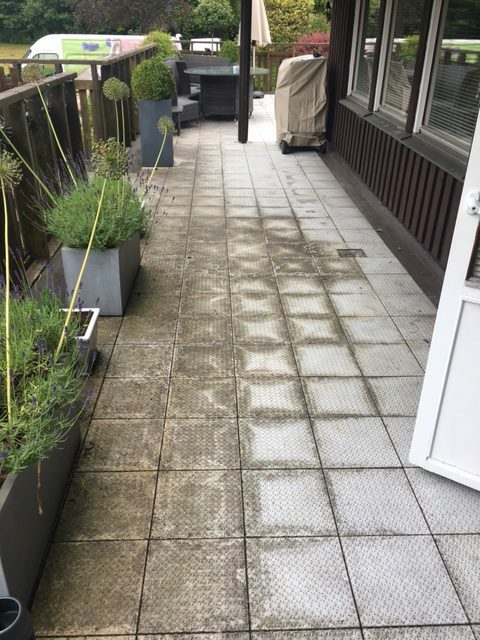 Take a look at our before and after photos, you will be amazed! 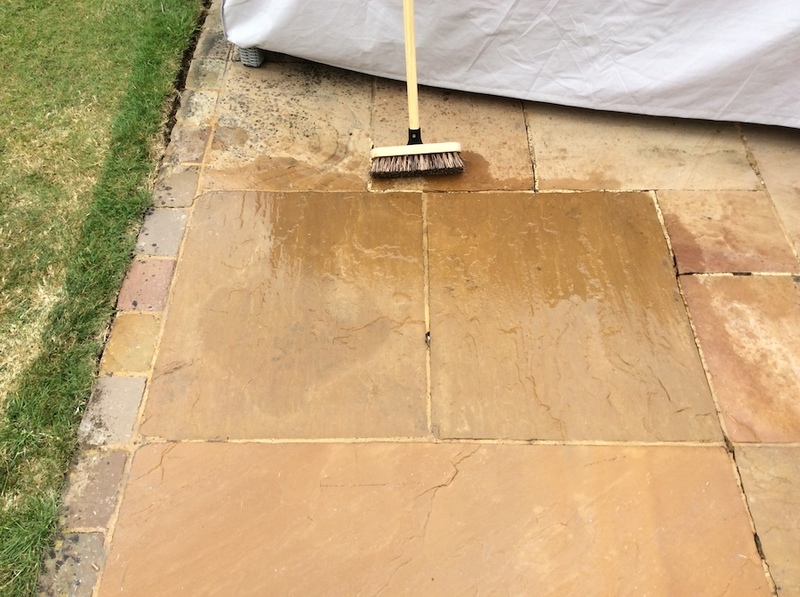 Please note that for illustrative purposes we have only cleaned one of the tiles in the below example. 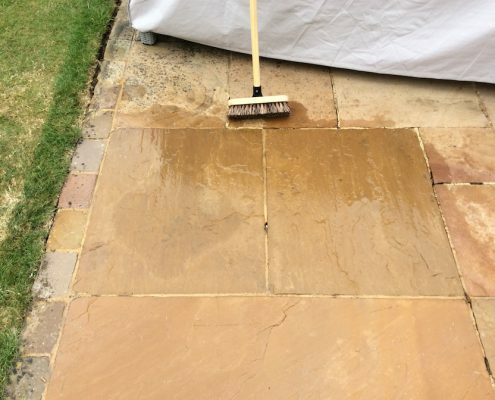 We invested in a top of the range pressure cleaner which works at 3600 psi with an automatic chemical feed, and a bowser which carries 1000 litres of water. 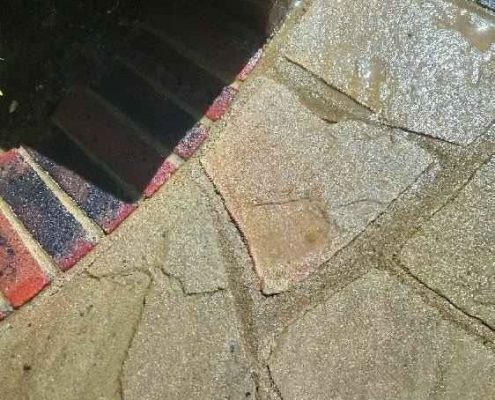 We have all the ancillary lances and top of the range Mosmatic spinner attachments enabling us to clean floors and walls in concrete, block paving, crazy paving, brickwork, cobbles and slates.